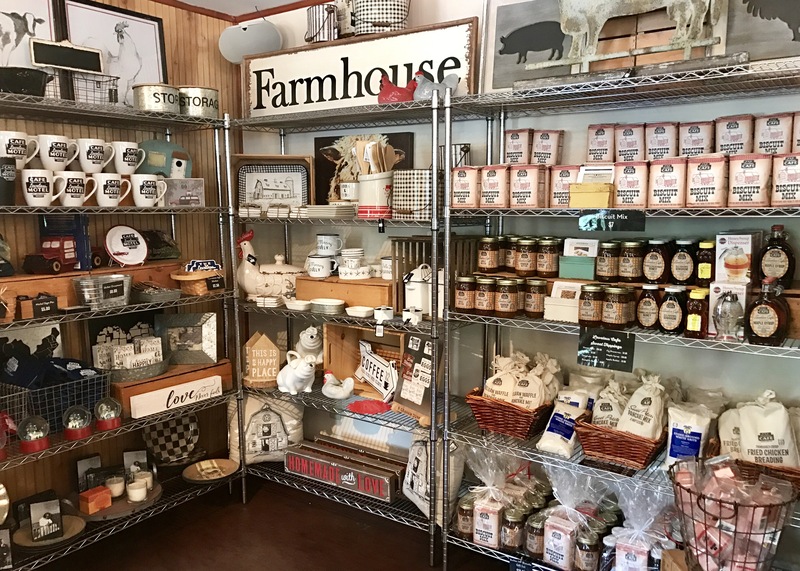 Sitting on the outskirts of Nashville, Tennessee is an adorable establishment where guests sip on teas and moonshine concoctions while hostesses serve up warm from-scratch biscuits and sweet homemade jams. 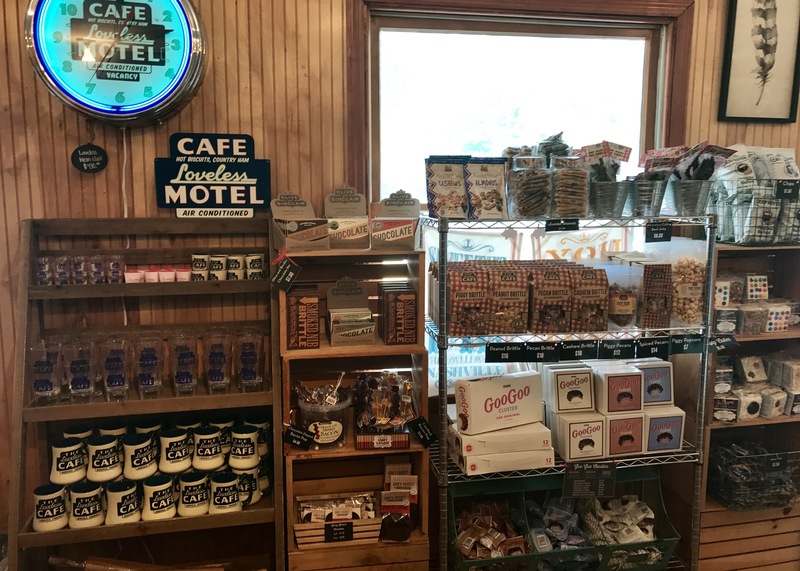 Loveless Café isn’t just all about their food, they also love southern hospitality and down-home traditions. 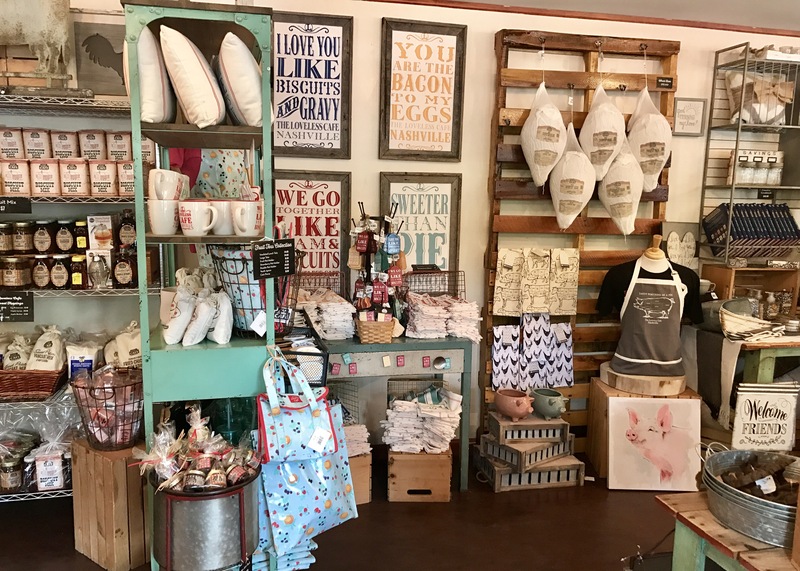 These beliefs set them apart from other areas of the big city since their guests can stop on by to slow down and enjoy moments in the simple life. 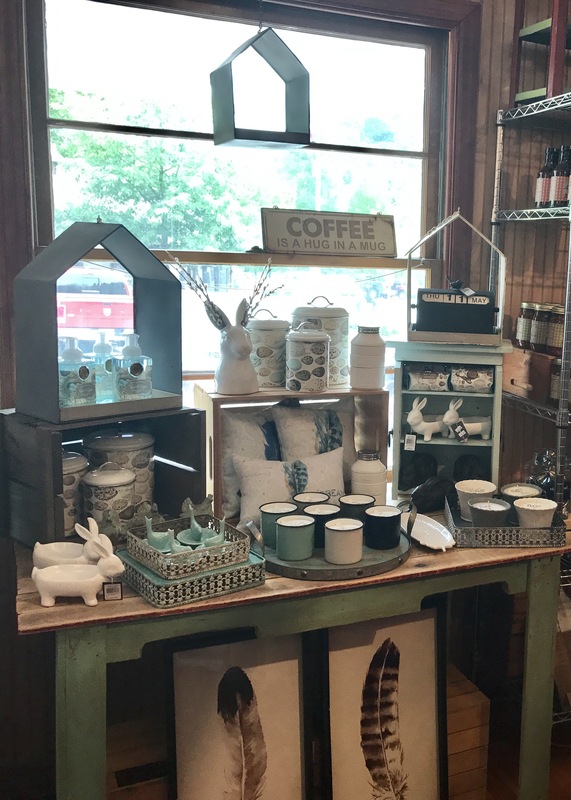 Starting out as a charming home-based café, enthusiasts have helped rocket Loveless Café to the quaint operation that it is today. 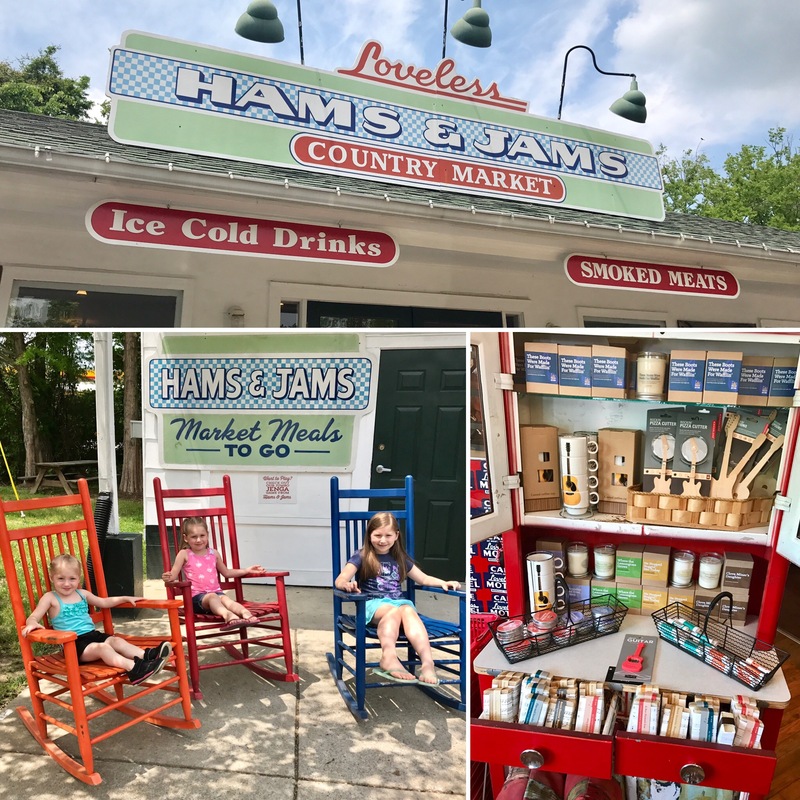 The shopping center is comprised of Hams & Jams Country Market, Shipping Shoppe, Loveless Outfitters and Shimai Pottery & Gifts. We visited the first three and were surprised that all three were not only unique in their own way but each offered a variety of neat findings! The Littles spotted some strawberry preserves they couldn’t be without (just get the bigger jar…you’ll thank me later), The Mister picked up a jar of fire-roasted pepper sauce (that has become our favorite sauce for EVERYTHING), and I grabbed a jar of Blue Lightnin’ moonshine mix. No shame in my game! We also tried out the cayenne cocoa cookies and marshmallow treats but they were just not up to par for us. With our buzzer alerting that a table would soon be ready, we made our way back to the restaurant with our goodies in tow. My husband has a firm belief that you can tell how southern a cook really is by how well they can make a chicken fried steak, so of course that is what he went with. The littles split an offering of macaroni and cheese, chicken strips, and a bowl of fruit. Apparently the macaroni wasn’t a hit as we left with almost all of it in a to-go box. It may have just been my kids but you’ve been warned! 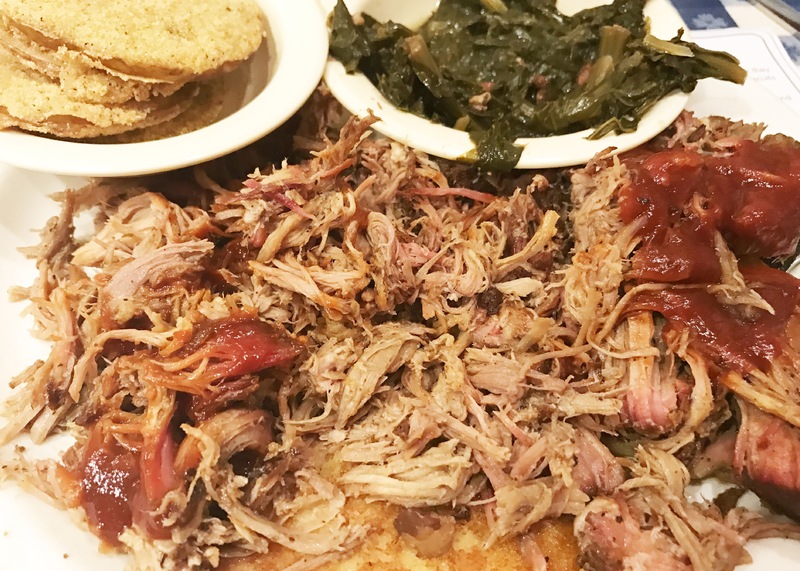 For my own meal, I chose the pit-cooked pork barbecue served on a bed of cornbread hoe cakes with a side of greens and fried green tomatoes. The whole meal was good but the tomatoes were some of the best I have ever had! 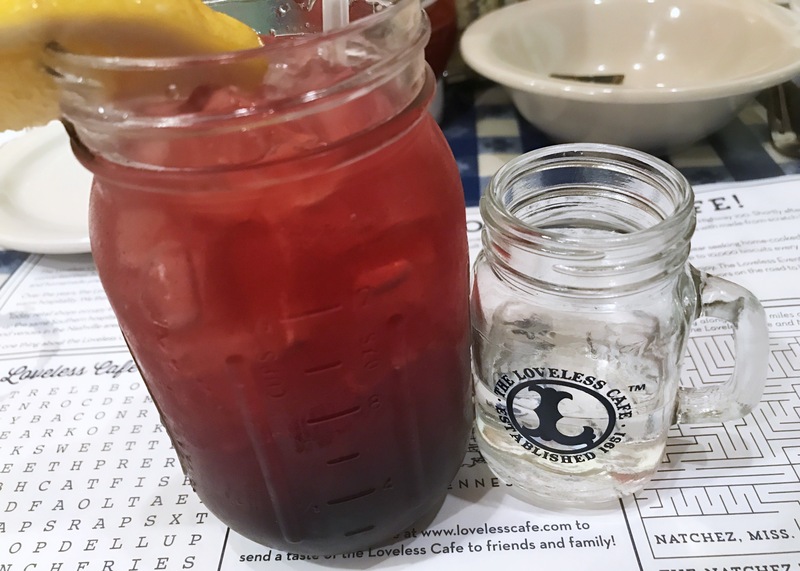 Overall, I would say the trip to Loveless Café was worth it if only for the experience and the memories. 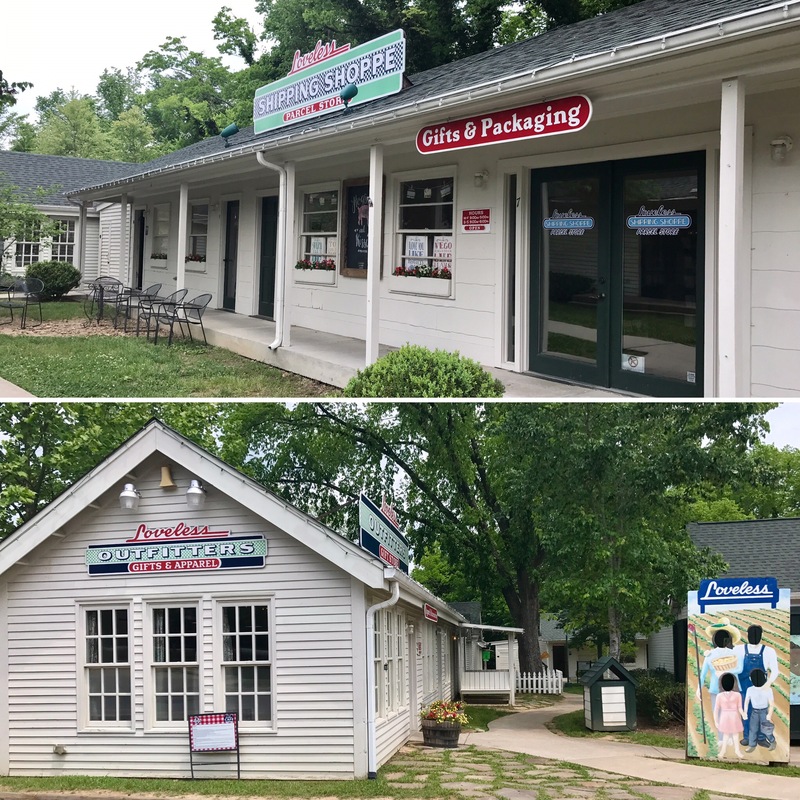 It may not be somewhere we would frequent regularly but if you’re ever passing through, be sure to check out this little gem!